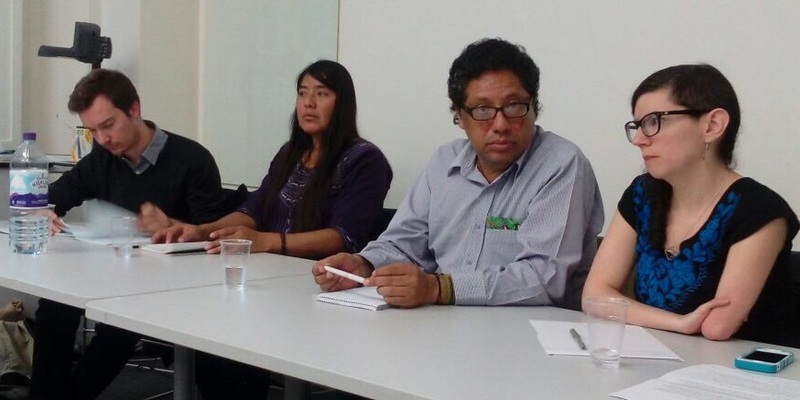 UCL Institute of the Americas was honoured to host an exceedingly well attended roundtable with two human rights defenders from the southern Mexican state of Oaxaca, Ms Rosalinda Dionicio and Mr Marcos Leyva. This event, co-organised with Peace Brigades International UK (PBI UK), took place on October 18 2017 and was convened by Dr Per Engstrom, Senior Lecturer in Human Rights and chaired by PhD researcher Maria de Vecchi, both from UCL Americas. More details here.